coffee ice | Dinner Love. 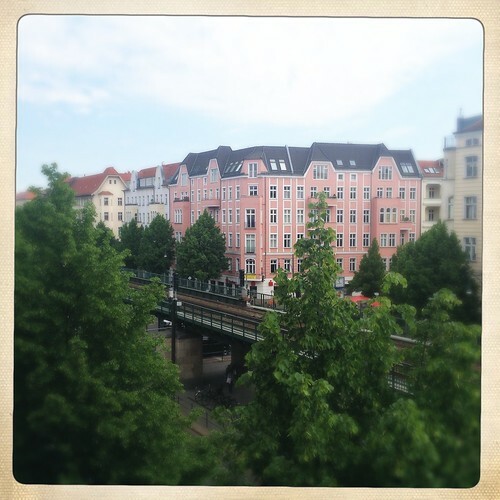 I left Berlin at the beginning of April to spend three weeks in the states visiting family and friends. I came back about a week ago. While riding in the taxi home from the airport, I was struck by a strange sense that my neighborhood street had changed; become fuller, brighter. I wasn’t really sure what the change was until the next day when I was walking to meet my husband for lunch. It was leaves. 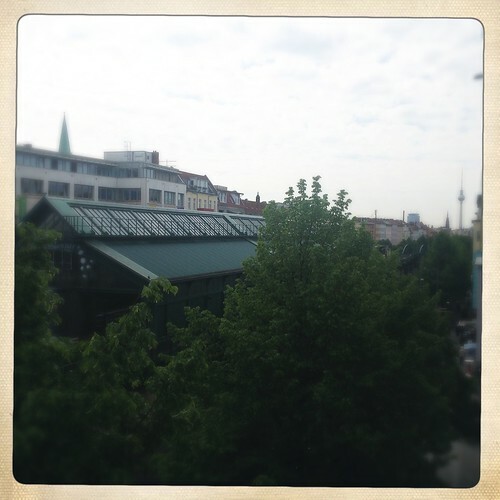 In the three weeks since I had been gone every single tree in Berlin had burst into green growth. Spring had sprung and with it came temperatures in the 70s (F) and above. Suddenly the idea of drinking hot coffee in the afternoons became upsetting. 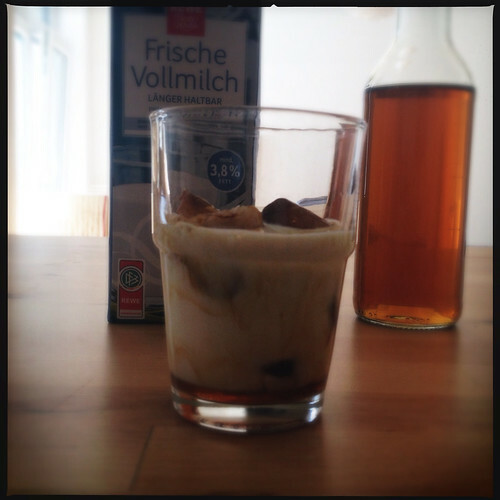 I usually make cold-brewed coffee in the summertime (when I live in a place with actual summer, that is. San Francisco does not count) but on my birthday last weekend we went to a local cafe where the iced latte was made with coffee cubes. Coffee CUBES-brilliant! I’m pretty sure that if I did a better job of paying attention to Pinterest I would have figured out this coffee cube thing earlier but I’ve been out of touch with the internet lately. But it’s ok because apparently real life doth provide, if just a teeny bit slower than our digital friend. The basic idea behind the coffee cube is simple and you’ve probably figured it out already. Step one: Freeze coffee in ice cube trays. TA-DA! But wait! There are other things to consider. How are you going to serve your coffee cubes? With milk or with more coffee? Will you leave them whole or blend them? Will you choose to sweeten your coffee cubes? 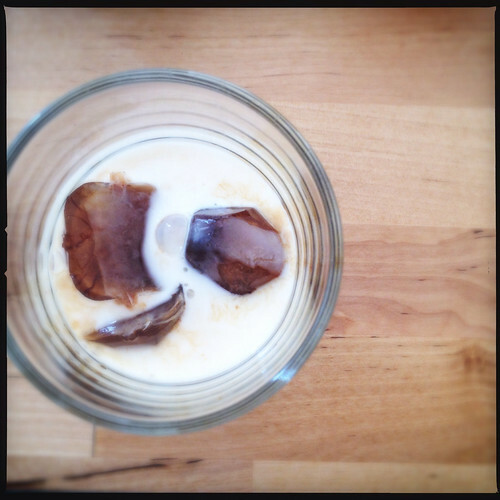 If you are more of an iced latte type person I would recommend freezing a strong coffee or espresso because it will be easier for the milk to stand up to the coffee. 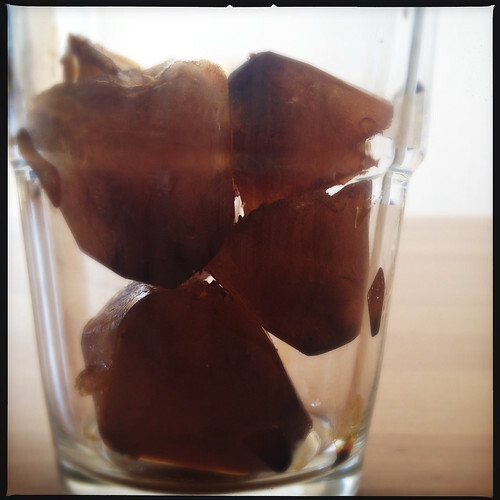 If you really just prefer an iced drip coffee then freeze regular coffee because the cubes will prevent your coffee from being watered down. In a similar vein, if you want to make a blended coffee beverage I would personally use a strong coffee and then blend it with milk. If you like your coffee to be sweet you can either stir in an appropriate amount of sugar into your hot coffee before cooling and freezing or you can make a simple syrup to add flavor and sweetness later. I posted about making simple syrup here. If you decide to make simple syrup you can easily make it flavored. I made mine vanilla but with other extracts and natural flavors you could easily do whatever your favorite flavor is. Here is what I did: I made a strong coffee using my aeropress. I allowed it to cool on my counter (which took about 30 minutes) before pouring it into my ice cube tray. Then I carefully put the tray in my freezer. The next day, I popped a few cubes into a glass, added simple syrup and milk, and stirred to dissolve the cubes. About halfway through I decided to try blending it so I added a few more cubes and then blended the whole thing together until it was creamy and smooth. 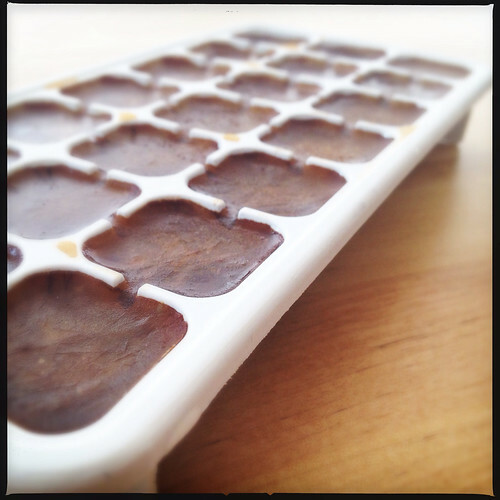 The coffee cubes work so much better than regular ice because they are just a little bit softer. Plus, again, no watered down coffee! P.S. 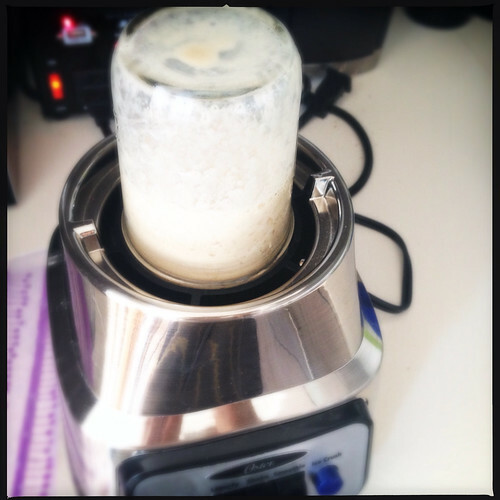 Have you heard about this nify-fabulous blender trick? 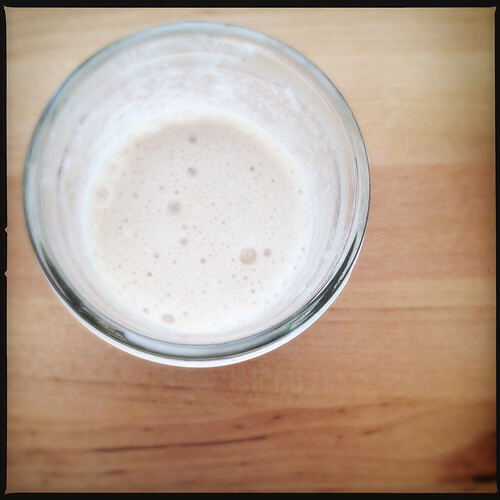 A regular mouth mason jar can be used in place of a blender pitcher on most blenders. Awesome right?